The Good: Within the first moment you're pulled into the movie, and it never lets your attention go. The action is MUCH better and spread out throughout the entire movie. The 3D was actually done nicely as well. While you may go in expecting action, let me tell you now that you should also expect some nice comic relief. The banter between Robert Downey Jr, Don Cheadle, and the "kid" in the movie are really funny. You'll see that Puss In Boots scene and Lol. The Bad: There are only two negative things that I can note that actually don't even count against the movie. First thing is that the Mandarin, played by Ben Kingsley, isn't what he's supposed to be from the comics. This MAY only bother comic book fans who actually know about the Mandarin's character, but surprisingly enough, Marvel made their creative change work. The second knock I'd have to give is the ending credit scene. It just doesn't give ANY type of hints for any of the upcoming movies the way Marvel has spoiled us with in past comic movies. The Reason: Not many movies are able to live up to their own hype but this one definitely did so. Like I said, the ending credit scene is there, but don't get your hopes up like I did thinking that it will reveal much. Go watch it in 3D, and yes this is a movie you should RUN to go see. Anyone who tells you otherwise is on bath salts and eating spoonfuls of cinnamon. 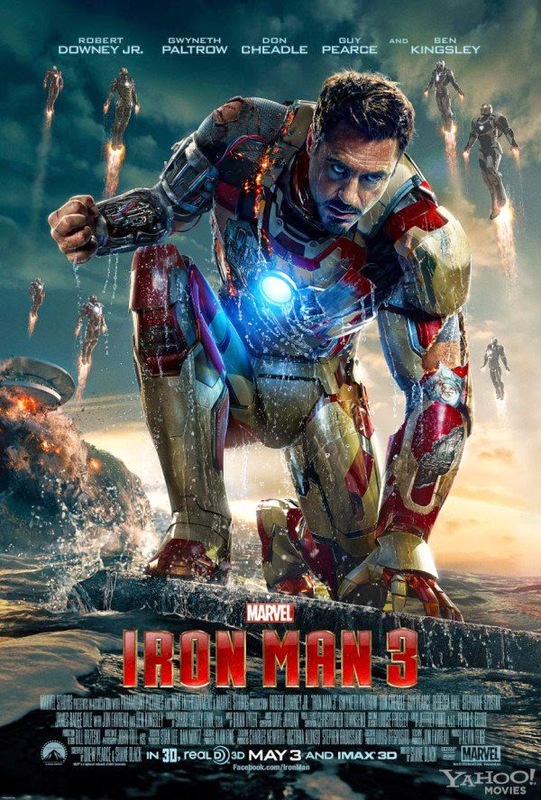 Labels: 10/10, action, adventure, Available on DVD, Marvel, Reviews, Robert Downey Jr.